This entry was posted on September 29, 2016 by Sew Essential. Hi folks, I hope you're well? 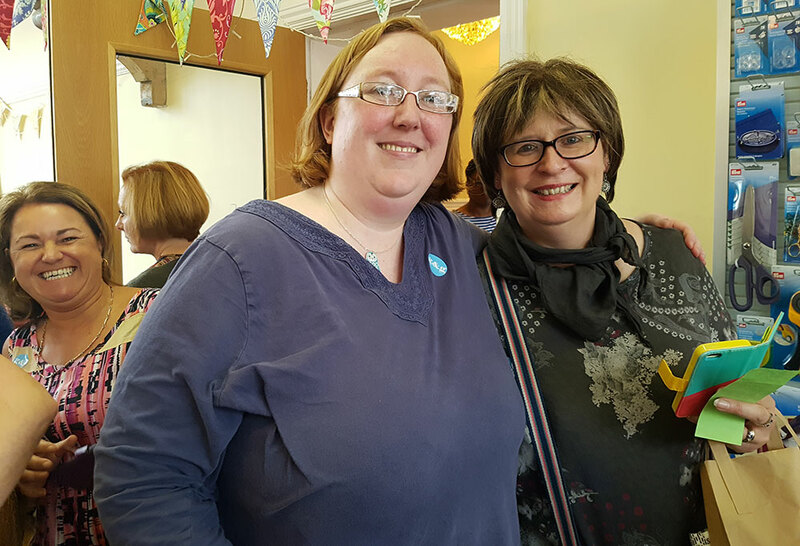 We've been busy as always here at Sew Essential - last weekend I had the pleasure of joining my second Sew Brum event and thought you might like to hear a bit about it. 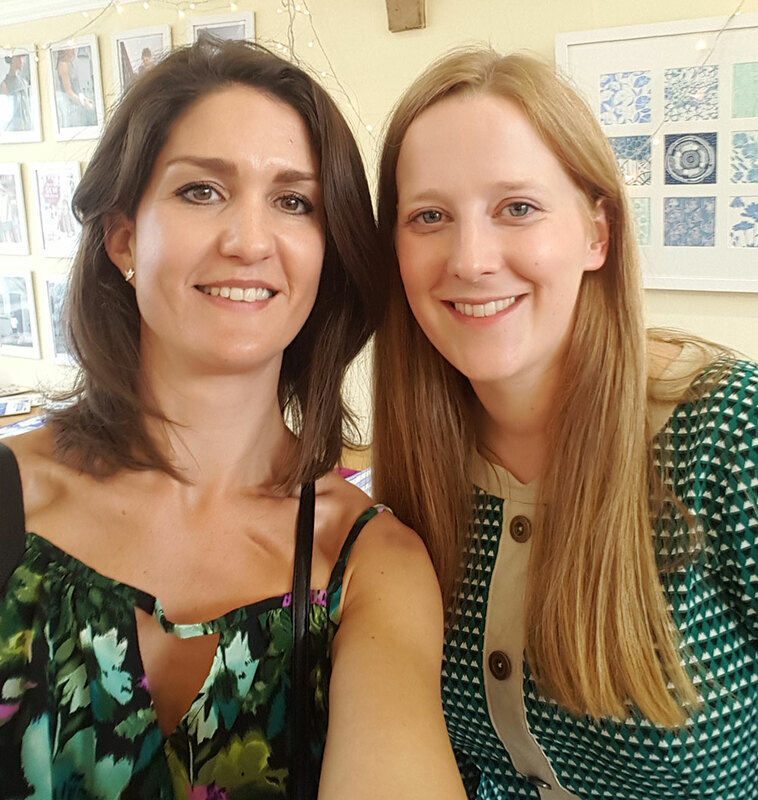 For those of you who don't know Sew Brum is an annual event organised by Charlotte (in the picture with me below) of the blog 'English Girl at Home' in, yes you've guessed it, Birmingham. Charlotte started the event three years ago and it has grown in popularity and attendance numbers ever since. 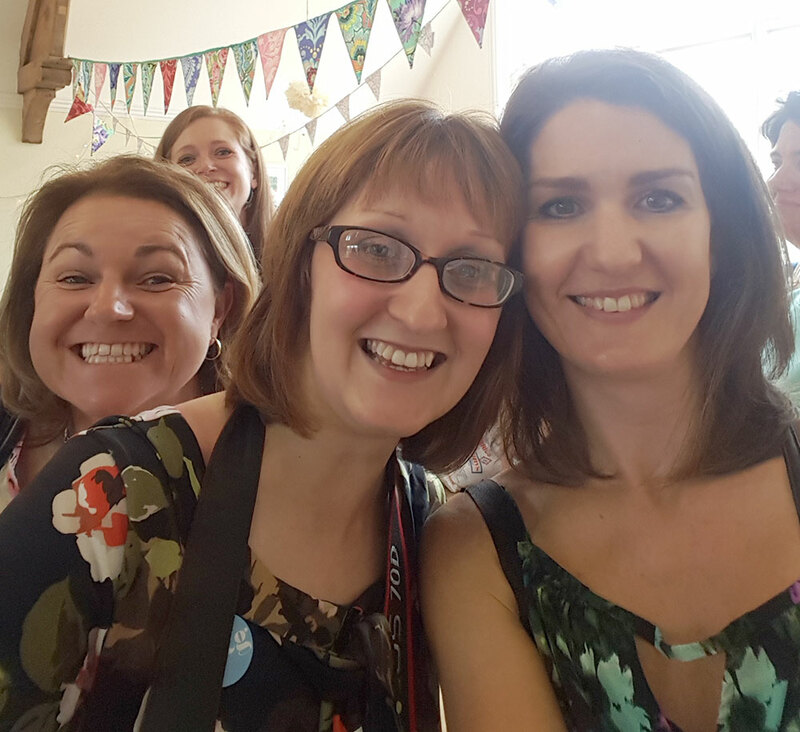 Although there are so many ways for us to connect with other sewists now through Instagram, Facebook, Twitter and blogs you just can't beat getting together with fellow enthusiasts for a good natter, some shopping and some nice nosh! 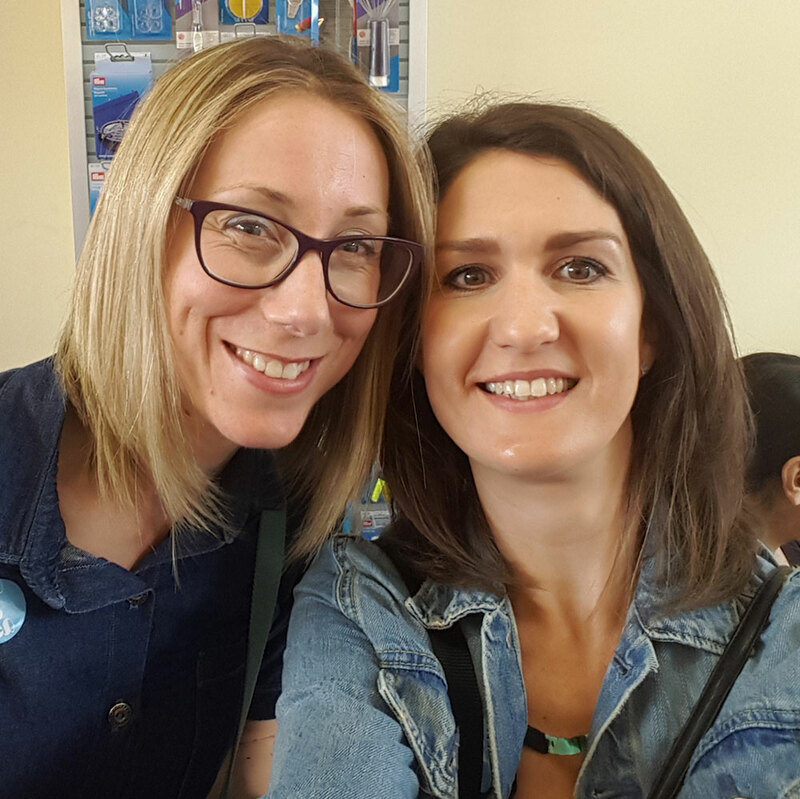 People travelled from all over the country to attend the event on Saturday, which started at the Edwardian tea rooms in Birmingham City Centre. Much tea and, more importantly, cake were enjoyed before the crowd headed to the world famous rag market for some fabric shopping. After trawling the fabric hot spots of the city centre everyone headed over to Moseley for the afternoon, which was lovely and relaxed thanks to the dual venue arrangement this year - split between The Dark Horse Pub and Guthrie and Ghani. I joined the Sew Brum event at this point and headed to the Dark Horse Pub with a group of lovely ladies including Ali (blogger at Thimberlina) Becca (blogger at Redwsews) Jess (blogger at All Stitched Up) and Victoria (blogger at SewVee) we also had a quick chat with Amy the Editor of Love Sewing magazine who kindly took the group photo at the top of the page for us. 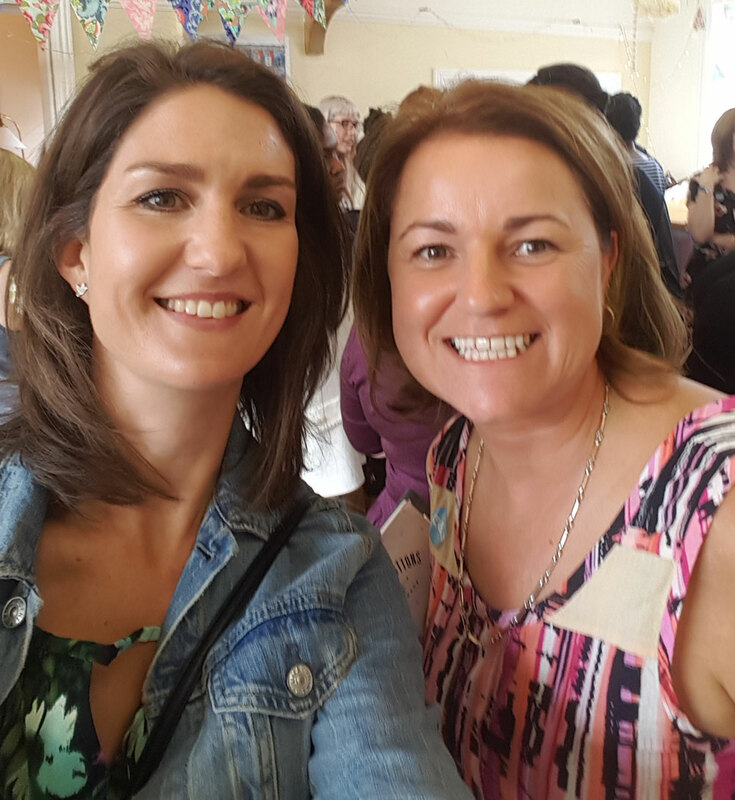 We shared sewing stories from dodgy blog photos we'd rather forget to our dream sewing machines and overlockers then headed over to Guthrie and Ghani for the raffle draw. 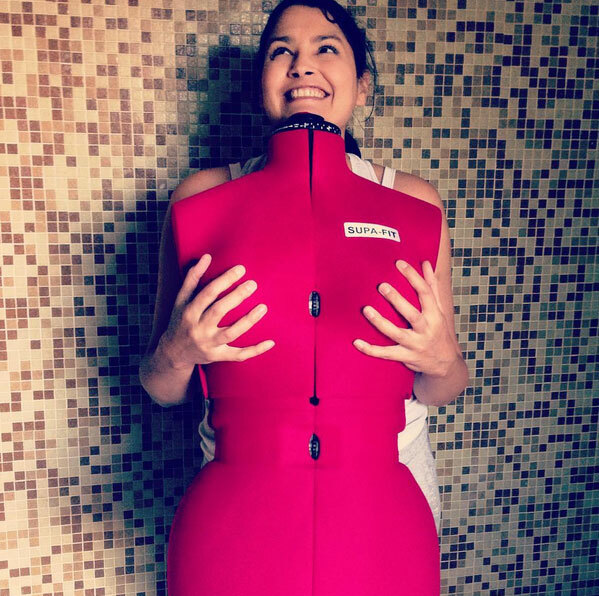 We (Sew Essential) donated an Adjustoform supafit dressform to the raffle and it was a pleasure to meet the lovely and lucky lady who won - Anna. She is a very talented photographer too and took this brilliant shot when she received her prize this week. All monies raised from the raffle tickets tea and cake donations were given to the Eve Appeal and it is always a pleasure to help out with this aspect of the day knowing it is in support of such a worthy cause. Here are some pics of some of the other fabulous people I got to hang out with. It was clear to see from everyone's Instagram and Twitter posts that people were buzzing all the way home from London to Leeds and everywhere in between. 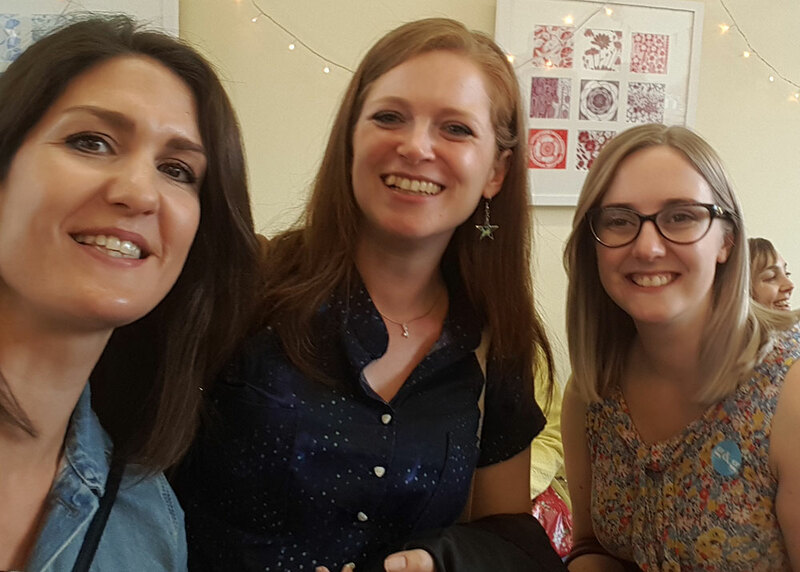 Another wonderful afternoon with amazing, creative and talented ladies - if you missed it this year why not pop along next year I would highly recommend it to anyone with a passion for sewing, chatter and cake.